A stunning, dense privacy hedge or gorgeous single specimen. Tolerates wind, rain, dry (with irrigation) and remains beautiful. An outstanding choice to solve those pesky neighbor abatement issues quickly. These days it’s most common use is as a drop dead gorgeous ornamental. One of our fastest to size species. 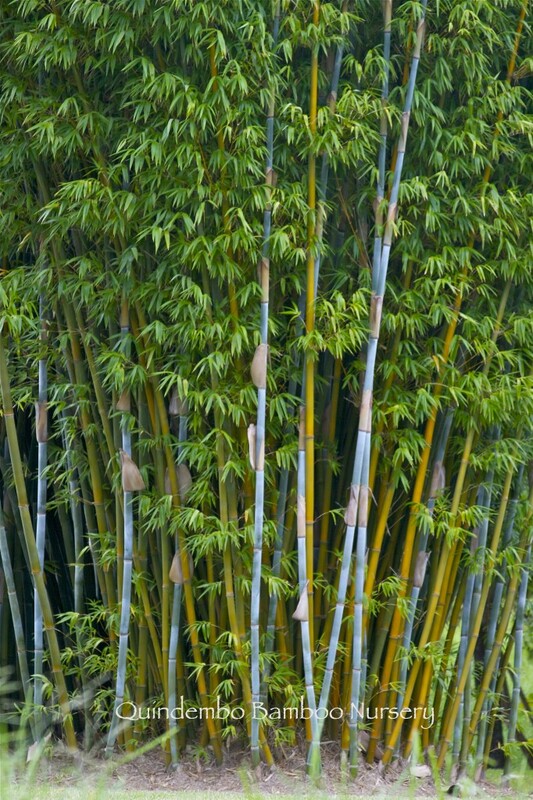 To about 40 feet tall, with 2 inch diameter canes, this bamboo is used for fine weaving in traditional cultures. We also have a smaller version with a tighter footprint somewhat better for tighter spaces, called Barbie or Tropical Blue Hedge Bamboo. Same great color, also, very quick to size. It is also part of the Chinese medicine chest.